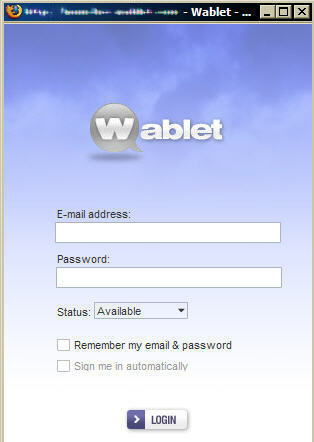 Alleba Blog » Wablet Looks Cool! Is Mike Abundo Wablet’s official spin doctor? If so, he’s doing a great job at it. Techcrunch’s Marshall Kirkpatrick should be demo-ing it anytime now. Jeez, I hope I can get a chance to test it. Yeah, I know, I know. Man, Wablet does look like a serious threat to Meebo. I hope it goes far especially that it’s made by Filipinos. Something to be proud of.